The iPad 2's just been announced, but that hasn't stopped Apple from trying its best to flog you the original. In the aftermath of the iPad 2 announcement, Apple has taken the liberty of shaving £100 off the asking price for the original. 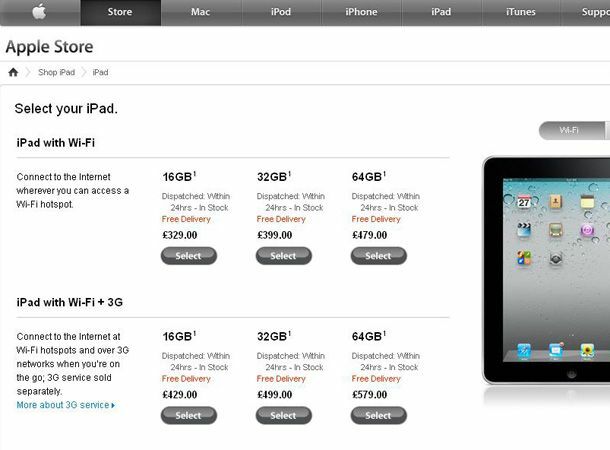 At the new price, the 16GB WiFi only iPad is now £329, which is an undeniably good price. The 32GB model has dropped to £399 and the 64GB is now £479. That's £100 off of each of model. It's a good deal and a tidy saving on the original, but is it enough to convince you to buy an outdated iPad? Apple will certainly hope so, what with the iPad 2 not out for another 23 days. Let us know your thoughts on the T3 Twitter feed.